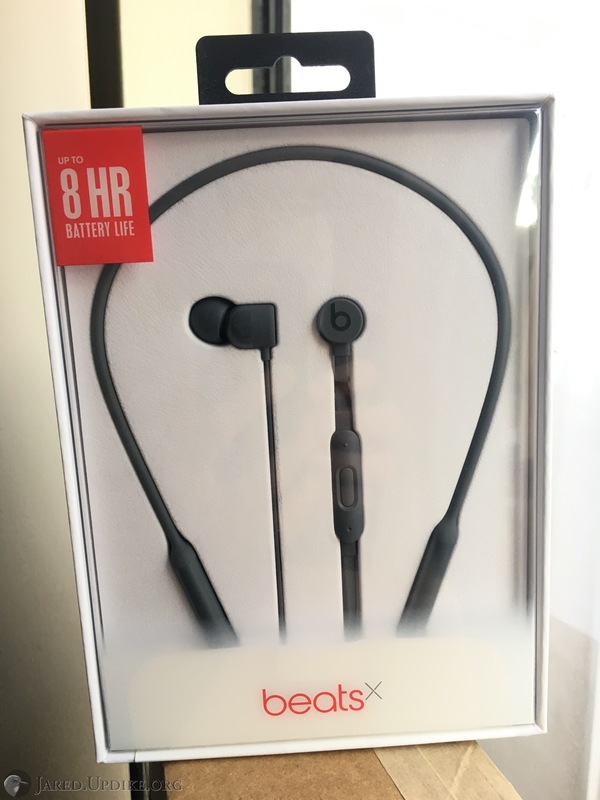 My new Gray BeatsX wireless in-ear headphones arrived on Saturday, March 11. The black and white BeatsX headphones were available several weeks ago, but the new gray and blue colors just started shipping out this week. Yes, the unboxing experience is very Apple-like and I will not torture you with details about all the pull-tabs, lift-outs, lovely textures, etc. Pictured: gray BeatsX wireless (Bluetooth) earbuds next to gray iPhone 6s silicon case, for shade comparison. They are a hair lighter than the case on my Space Gray iPhone 6s (Space Gray metal itself looks darker in person than this, depending on the angle). Note back-to-back magnetic snapping, a very cool and useful feature (see: Portability, below.) 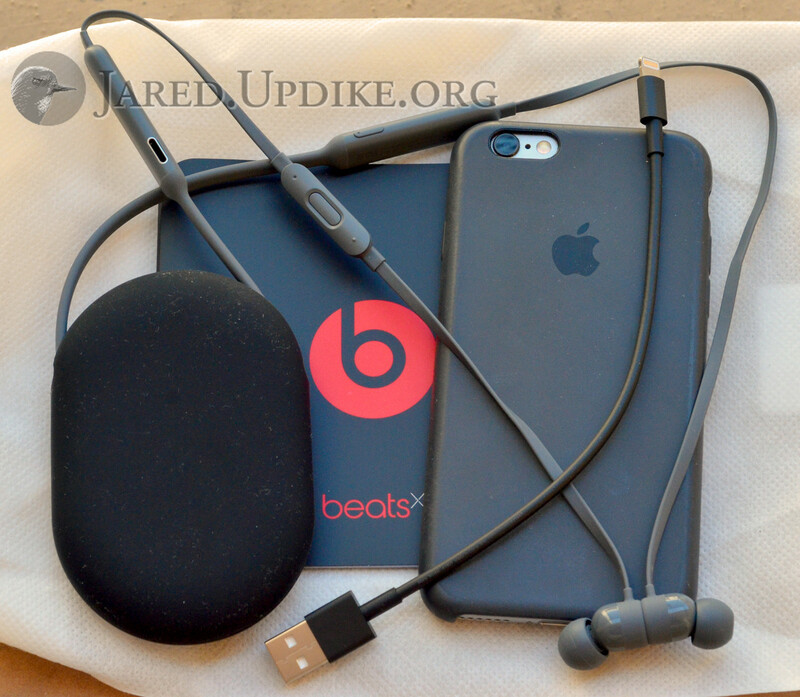 Weird but pleasant-to-the-touch, black silicon BeatsX carrying case that almost fits the headphones they ship with. Actual black silicon absorbs all light and all dust in the vicinity. Short, stubby black charging cable is the only charging apparatus in the box. I am comparing these to my trusty old Apple In-Ear Headphones (I have bought several pairs of these in a row, with good reason), and to the new Apple AirPods, which I was able to try in an Apple Store (yes they spray them off with disinfectant every time). BeatsX are not available to try out in store. The support rep said my best bet was to read reviews and/or just buy them, try them out, and return them if they were not up to snuff (my words, not hers). This is all very arbitrary and subjective, but I think I will keep the BeatsX and see how I like them a year from now. Wireless is really nice: now I can connect to my work laptop without the cable (1) hitting the keys of my keyboard, making it hard to type or (2) yanking my laptop off its stand if I forget that I am tethered. And I can stay connected to my Mac and walk around the office. Nice.